DANCE GAVIN DANCE THE ROBOT WITH HUMAN HAIR PT. 4 LYRICS"
What have I done, what have I done? 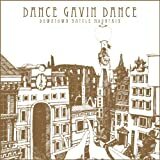 All Dance Gavin Dance - The Robot With Human Hair Pt. 4 lyrics are property and © copyright of their respective owners. All The Robot With Human Hair Pt. 4 lyrics provided for educational purposes only.